Is your employer treating you well by giving annual raises? How many raises have you received from your employer over the past 5 to 10 years? I can say that my employers over that time have not given out too many raises. And even when I do get a raise, it is usually not that exciting (3% or less). Not that I am complaining all that much, but the lack of annual raises from my employer is a bit depressing. But guess what? That doesn’t mean all is lost. Instead of relying on something out of our control, my wife I have decided to take matters into our owns hands. We have decided to build other income streams that will treat our family a little better. 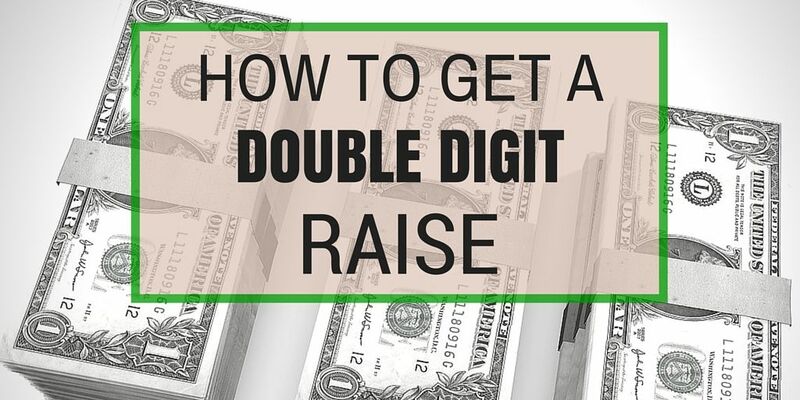 That is how we got a double digit raise this past month, without lifting a finger. Yep, that is right – One of our other income sources (dividend stocks) just gave us a double digit raise and we didn’t do a thing. One of my favorite things about owning dividend stocks are the annual raises they give my family for doing absolutely nothing. Well, that is once we invest our hard earned dollars into a company and monitor it every month or so. But other than a little maintenance here and there, we have a portfolio (Money Sprout Index) of companies that gives us a raise each and every year. Last year, I was fortunate enough to get a 1% raise at my full time job. Sure it was nice to get an increase, but let’s be honest – 1% isn’t going to get us too excited. On the other hand, our dividend stocks keep treating us like kings. Just a couple months ago we got a boost of dividend income from a couple dividend stocks. We got a 10% raise from Caterpillar (CAT) and a 7.7% raise from Target (TGT). That is so much better than the 1% raise from my job. Guess what? Another company in our portfolio just recently announced a 16% dividend increase, which is highlighted below. We have been buying up shares of Microsoft each month for almost 2 years now. In that time we have accumulated over 52 shares of the Information Technology stock (52.1041 to be exact) one month at a time. The company recently announced a 16% dividend hike, which means we are anticipating an increase of $10.42 for our annual dividends. Note – We have purchased all 52+ shares of Microsoft stock commission free through LOYAL3. Both LOYAL3 and Robinhood are great investment tools for dividend investors that offer commission free trades. The total increase in our 12 month forward dividend income from Microsoft’s dividend increase is $10.42. By itself, that isn’t going to get us overly excited about earning another $10 of income next year. However, Microsoft is only a small portion of our portfolio that we are working each month to build. If we got a 16% raise on all of the stocks in our portfolio, we would increase our annual income by over $250. This is not to say that we are expecting a 16% increase in all of our dividend stocks. However, a 9% or 10% is not out of the question which would lead to an increase of over $150 in annual income. As we continue to add new shares of dividend stocks to our portfolio each month, these numbers will continue to grow year after year. A 10% annual raise today may only be $150 but 10 years from now it could be $500 or more. Do you look forward to annual dividend increases? What type of dividend increases have you experienced over the last year?